Every commercial property should have a wheelchair ramp and ADA parking lot striping in Hernando. Take a close look at the parking lot of the next Hernando business you pull into. If you examine this space, you will likely notice parking lot striping along and a parking lot ramp. 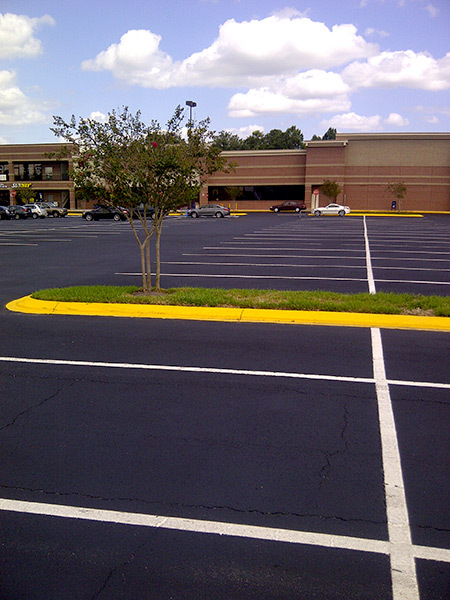 Local businesses and organizations of all varieties are required to have ADA parking lot striping. 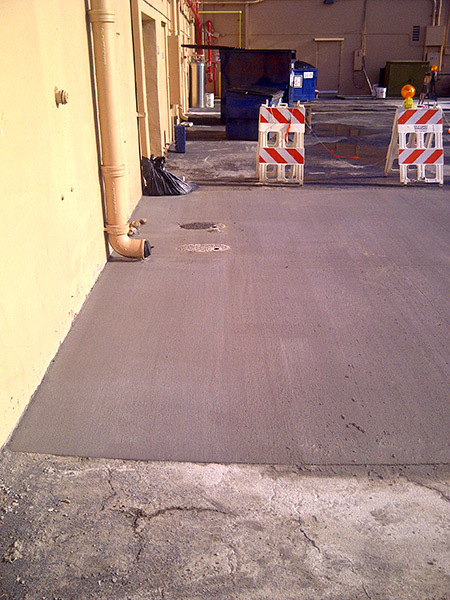 Furthermore, those with mobility challenges must be provided with a ramp to access the facility. 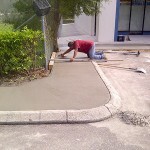 If your property does not yet have a handicap parking lot, work with a professional team for installation. 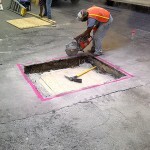 We specialize in the installation of these ramps. 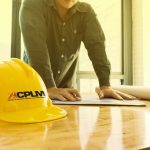 It does not matter if you own or manage a business, apartment complex, church or other entity; your property needs a wheelchair ramp so those with mobility challenges can access it with ease. 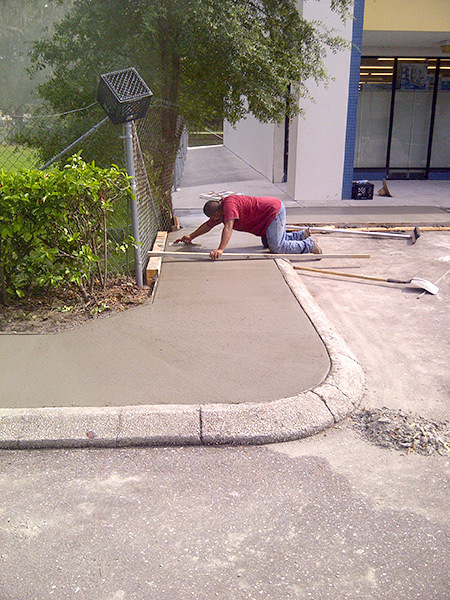 Those who rely on crutches, canes, wheelchairs and other mobility equipment will be thankful for your new wheelchair ramp. 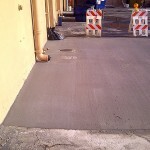 Furthermore, the addition of such a ramp will reduce the foot traffic along your main entry and exit doors. The end result of ADA parking lot striping and wheelchair ramp installation is clear paths of travel, for your customers. If you own or manage any type of property that serves the public, the law states you need a wheelchair ramp. 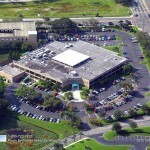 From churches to schools, libraries, restaurants, and other businesses, handicap parking lot ramps are essential for just about every Hernando building. 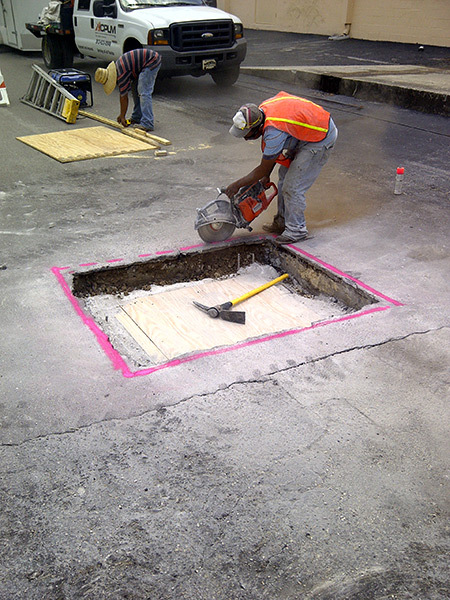 Once your wheelchair ramp is installed, striping can be applied to direct traffic flow and clearly mark parking spaces. 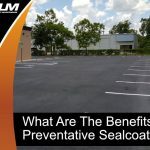 Properly marked striping reduces the chances of accidents and other potential problems in the parking lot. 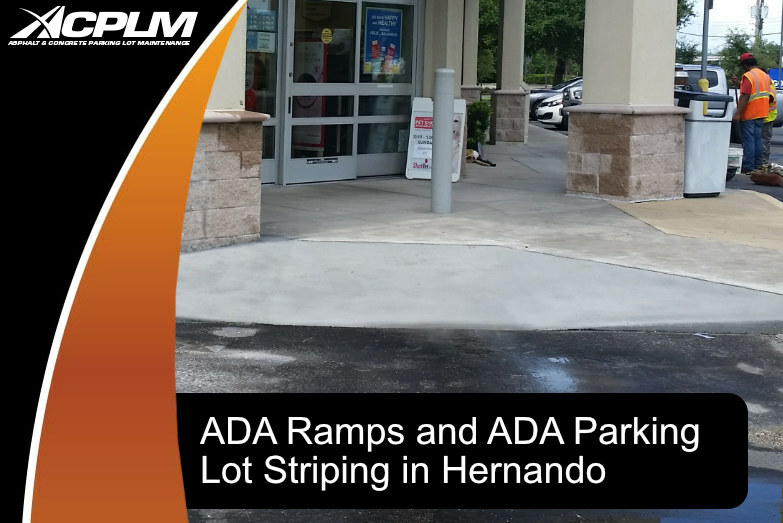 Visitors will think more of your company if your ADA parking lot striping in Hernando is maintained at regular intervals. 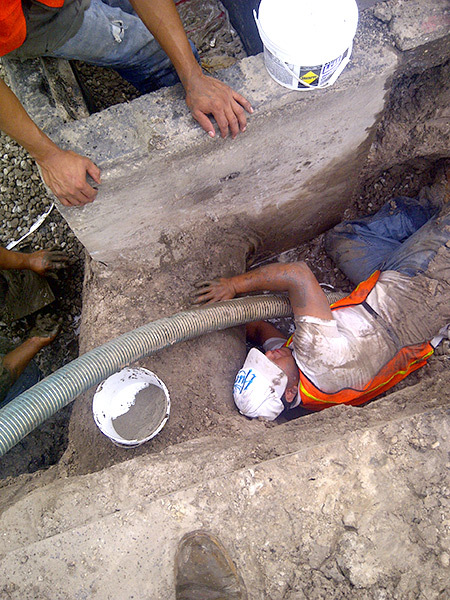 Do not put your property in the hands of an inexperienced team. 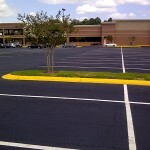 ADA parking lot striping in Hernando has the potential to go wrong if it is not performed by proven professionals. 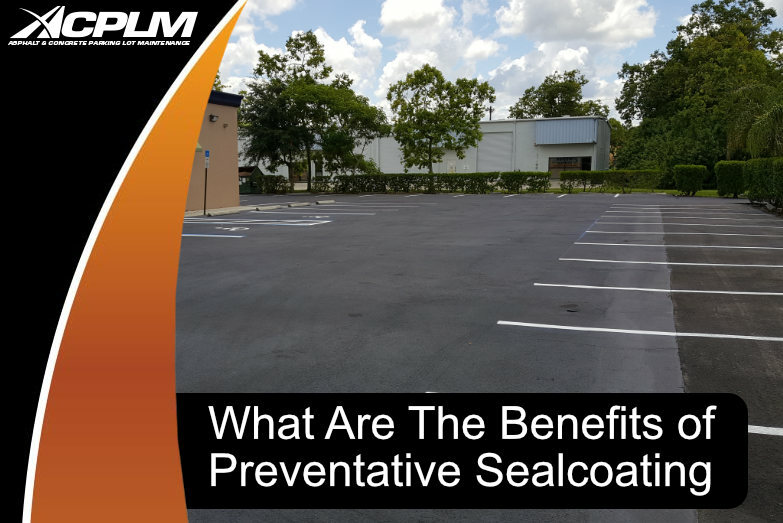 You need to work with an experienced team to conduct an in-depth analysis of your property, implement the perfect ramp, and apply clear striping that keeps all visitors safe. 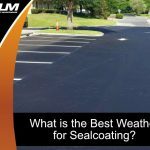 We have your ADA parking lot striping needs covered. 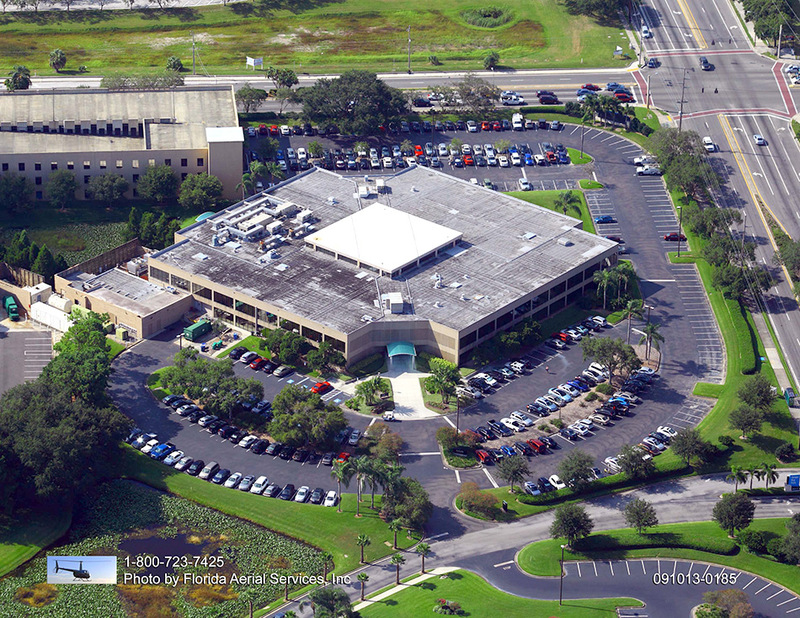 Our team has served Florida businesses for more than half a century. 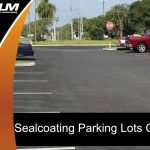 Whether you need parking lot striping, wheelchair ramps, sealcoating, asphalt patching, general parking lot repair, or other parking lot repairs or maintenance, contact ACPLM today!